Over the years, the use of smart home technology has become increasingly popular. 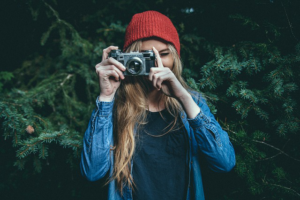 More than ever, homeowners are now switching from the “old-fashioned way” to the “smart way” as a means of reducing cost and living a more convenient lifestyle. No doubt, smart thermostats form a major crop of such technology that has drawn a lot of attention in recent years. While some of them promise to reduce your energy bills significantly, others merely offer convenience and a few other side attractions. Whether you’re looking for a “sophisticated” thermostat or just one that is within the limit of your budget, finding an ideal smart thermostat to meet your specific needs can be a bit overwhelming if you’re not familiar with best-known brands. The Honeywell RTH9580WF is without doubts one of such products that clearly stands out as a standard when it comes to measuring the “must haves” of the best thermostat. And it comes as no surprise that Honeywell is the brain behind it. 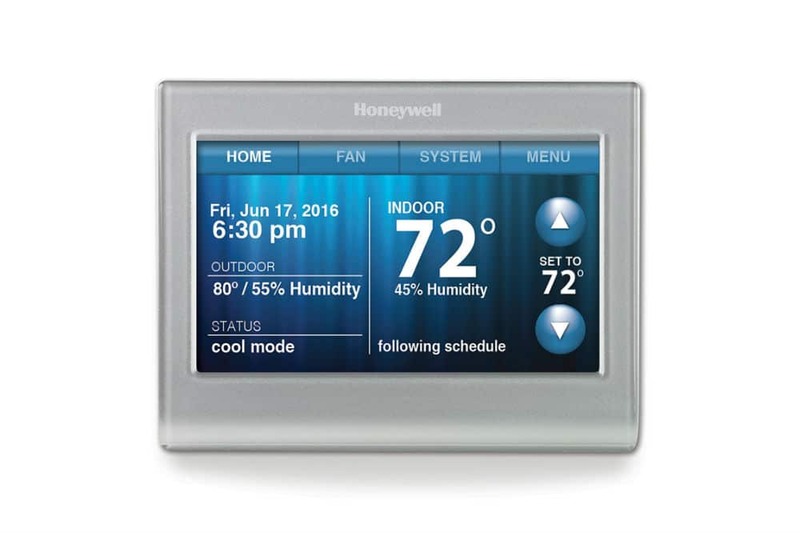 It’s almost impossible to pinpoint the top players in the market for smart thermostats without taking a chance with Honeywell. Their line-up of smart thermostats is nothing but amazing, and even a Luddite will find it very difficult to look away. The Honeywell RTH9580WF Wi-Fi 7 Day Programmable Thermostat is one of thermostat that has continued to receive a lot of positive reviews from people. As an entry level thermostat, the RTH9580WF is a perfect choice, and as a better upgrade, this unit will not disappoint you. Although you don’t need a smart gadget to operate this unit, having one automatically allows you enjoy additional features which you may not be able to access ordinarily. With the RTH9580WF, you will get almost everything you expect from a smart thermostat like Nest. However, you will be able to get it at a much lower price. Although the Honeywell RTH9580WF is best known for its programming capability, it also allows you to get a feel for the smart side of things with its added features. The thermostat can be programmed to meet your specific needs in any building, whether in your house or office. You can set the device to achieve a particular temperature at your desired time. And it will tell exactly how long it will take to reach that time. For instance, you can choose a suitable temperature for when there’s no one at home. This lets you save money on energy bills because you no longer have to waste energy unnecessarily. Also, when your home is becoming crowded, the thermostat will automatically modify your HVAC system. This way the climate in the building remains comfy all day regardless of how many people are coming in or leaving. In other words, there’s no part of the day that’s too hot or too cold. Perhaps, what makes the RTH9580WF more interesting is the extent of control it gives to users. With its Wi-Fi feature, you can control the device from anywhere as long as you have an Internet connection. However, you need to download the Total Connect Comfort app on your smartphone to leverage on this advantage. Luckily, you can get the app for free. With the programmable mode of the RTH9580WF, you can save a good chunk of money on your energy bills throughout the year. Of course, this is one of the main reasons why anyone would want to get a smart thermostat. This unit comes with a large display which makes programming easy and intuitive. On the average, you can save up to 20 – 25% on your energy bills when using the thermostat. In other words, you should be capable of getting back the amount you spent on the thermostat within two years of use. However, this depends on specific factors such as the weather condition outside, the temperature settings, as well as the previous performance of your system. This unit is compatible with other cool smart applications including Alexa, IFTTT, and Stringify. Alexa enables you to give voice commands to control the heating and cooling of your space while IFTTT or Stringify helps to keep your home more protected especially when you’re not around. The Alexa feature is beneficial especially when it’s not convenient to manually control the thermostat, like when you’re doing the dishes, and you need to heat up the living room before you’re done. All you need is to just speak to the Alexa device. Isn’t it fantastic? Installing the Honeywell Wi-Fi Smart Thermostat is pretty easy if you have the right wiring on your existing thermostat. Besides the easy-to-read installation manual that comes with the device, Honeywell also provides a video tutorial on YouTube to work you through the process in case you encounter any difficulty along the way. Also, the use of stickers by the company to label the wires helps for easy identification. Like any other smart thermostat, this unit requires a C-wire for power. So if your existing wiring doesn’t include the C-wire, you will have to run a new one. Alternatively, Honeywell offers a workaround, or you can opt to buy a power extender kit. Since each of these methods requires you to access your system’s control board and also understand wiring diagrams, it is advisable to hire a specialist to avoid messing up the whole thing. Q: How do I install this unit? A: Please get back to the installation manual, or you can watch the tutorial video online by Honeywell on Youtube. The entire process shouldn’t take you more than 30 minutes if you decide to it yourself. However, if your existing unit doesn’t have a C-wire, we advise hiring a specialist for the job. Q: Does this show energy reports? A: No the Honeywell RTH9580WF doesn’t generate reports on your energy usage. This is certainly a drawback. Q: What If I have connectivity issues? A: Unlike some of its counterparts, the Honeywell RTH9580WF doesn’t lose its programming when the connection is shaky. It will continue to function until the internet is restored. Q: What if there’s a power failure? A: Since this unit doesn’t come with any replaceable backup battery, but rather depends on power from the C-wire connected to your HVAC, it will go off when there’s a power failure. But it will still save your settings to the onboard memory. Q: Can it switch from heating to cooling and vice versa without any manual entry? A: Yes. It does. Isn’t that incredible? If you are looking for a simple smart thermostat that offers an easy day-to-day programming with app support, then you will definitely find the Honeywell RTH9580WF Wi-Fi thermostat worthy. You will be impressed with its versatile app display and still get to reap from some rich smart functionality without paying a top dollar for it. However, this unit doesn’t offer you the more advanced features peculiar with high-end models like the Nest or Ecobee and doesn’t give you an estimate or report of your energy usage. Neither can it tell when you are around or not. But this shouldn’t be much of a burden considering the price. It’s just as simple as it comes and will obviously give you less headache to operate.